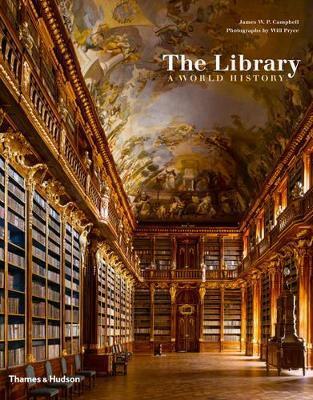 This spectacular book is the first single volume to tell the story of the library as a distinct building type, all around the world. Throughout the ages, book collections have served to symbolize their owners' culture and learning, and the wealthy and powerful have spent lavishly on buildings to house them. In its highest form the library became a total work of art, combining painting, sculpture, furniture and architecture into seamless, dramatic spaces. The finest libraries are repositories not just of books, but of learning, creativity and contemplation; they embody some of the highest achievements of humankind. This book recounts that history in text and images of truly outstanding quality. James W. P. Campbell, Fellow in Architecture and History of Art, Queens' College, Cambridge, is the author of Building St Paul's and Brick: A World History, also with Will Pryce. Will Pryce, a trained architect and award-winning photographer, is the author of six books, all published by Thames & Hudson.